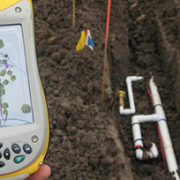 Although a land survey may seem tedious and unnecessary when doing some projects, in fact there are many cases in which they become valuable, cost saving tools. Recently one of our clients found out how important a survey can be. The client contacted us with concerns about a retaining wall that borders their property. They stated that the wall is crumbling, and client does not know who is responsible for repairs to the wall. 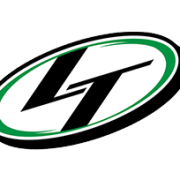 LandTech was able to help! A crew went out and completed a boundary survey of the property, and also mapped the points of the retaining wall in question. After all of the information was compiled a map of the property was made showing all of the needed information. This in turn helped decide who was responsible for any new construction or repairs that were needed to happen with the wall. Land Tech Surveying, LLC recently staked out a condominium in a condo project in New Berlin, Wisconsin. Land Tech has been involved with this project from the very beginning, and is still in charge of all land surveying operations. Condos were a very hot item before the economy took a turn for the worse, but people are still buying. If you or someone you know is looking for condo site, take a look at “The Villas of New Berlin” which is located west on Farrel Drive off of Sunnyslope Road in New Berlin. If you are looking for a Waukesha County land surveyor, call Land Tech Surveying, LLC at 262-367-7599 or visit our website at www.wisconsinsurveys.com. Last month Land Tech Surveying, LLC completed a boundary survey for a client in Milwaukee, Wisconsin. The property consisted of a corner lot which was part of a subdivision called Murray Hill which was subdivided in 1890. Property surveys of this nature can be very difficult because all original monumentation has disappeared over the years. The entire block ends up getting resurveyed and the lot is calculated proportionately from there. In this case it was important to have a survey done because the owner will be building a fence. If you are building a fence or any other structure, make sure you have an updated boundary survey done. Last month Land Tech Surveying, LLC completed a boundary survey for a client in Genesee, Wisconsin. The property consisted of a 78 acre farm, 74 acres of which were part of a conservation easement. It was really important that the buyer of the property had a survey done in order to show where the conservation easement is located. 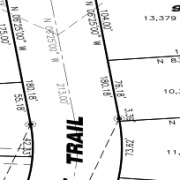 There were also multiple utility easements cutting through the property that were shown on the survey. If you are about to buy a property, make sure to have an updated survey done before closing. A small cost ahead of time can save you a fortune in the future.